She’s a medieval queen, an action hero, among the most beloved of literary heroines, and 2014’s most popular name for girls. 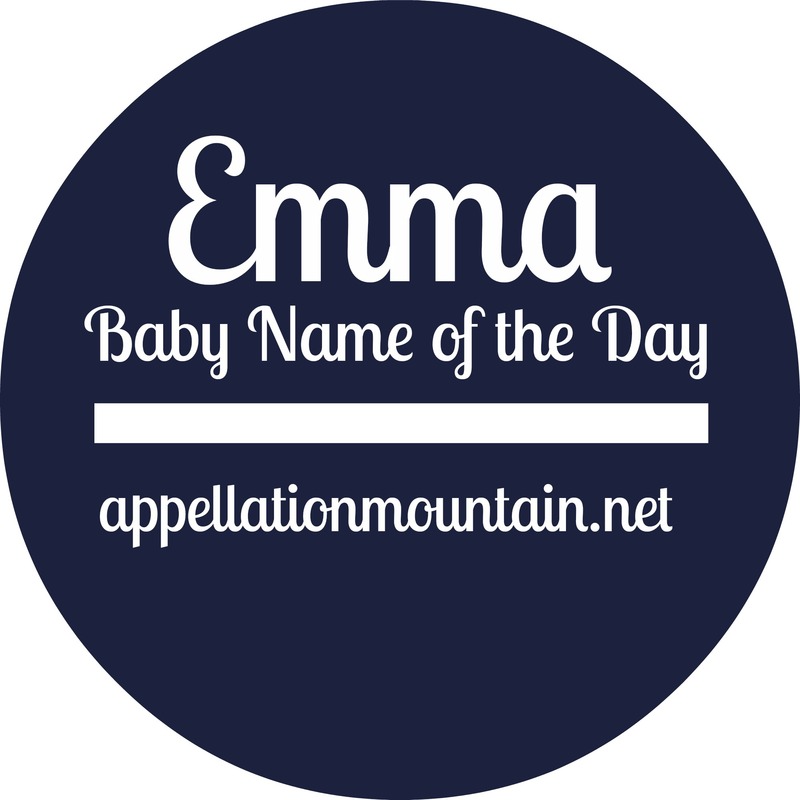 Top Ten week continues with our Baby Name of the Day: Emma. 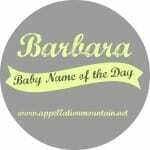 Long before Jane Austen picked up a pencil, babies were being named Emma. Well – actually, they were being named cumbersome Germanic names like Ermintrude and Irmingard. The first element of those names is ermen – whole, universal – and it is shortened to Irma, which became Imma. Between those clunky charmers and slim Emma is a twice-crowned queen, the mother of two future monarchs. The Normans have some fabulous, obscure names on their family tree: Gunnora, Gunhilda, Sprota, Herleva, Gytha. But there’s also Judith, Edith, Matilda, and Emma, the daughter of Richard, Duke of Normandy. 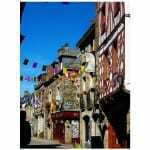 Normandy’s growing power made her a sought-after bride in the eleventh century. She first married Aethelred, king of England. After his death, Cnut of Denmark won the throne – and married Aethelred’s widow. 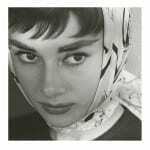 She was the great-aunt of William the Conqueror. 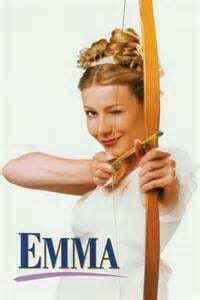 No wonder, then, that Emma was used throughout medieval Europe, including England. Two saints, both noblewomen by birth, answered to the name. She was revived in the eighteenth century, when Matthew Prior penned a poem called “Henry and Emma.” Austen quoted Prior in her novel Persuasion, and also gave the name to the matchmaking Miss Woodhouse in her 1816 novel Emma. Gustave Flaubert added a second literary dimension to the name with his 1856 Madame Bovary. Madame B. isn’t exactly a role model, though. 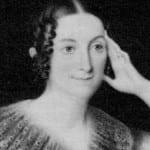 In the US, Emma ranked in the Top Ten in the nineteenth century, plummeted to the 400s in the 1970s, returned to the Top 100 in 1993, the Top Ten in 2002, and was the #1 name in 2008 and again in 2014. In the UK, Diana Rigg was Mrs. Peel of The Avengers in the 1960s. Rigg played a trailblazing character – brilliant, tough, a martial arts master. Emma Peel was a play on “M. Appeal” – appealing to men. Starting in 1984, Kate and Allie told the story of two divorced moms who decided to raise their children together in a New York City brownstone. One of their daughters wore this name. Emma Thompson’s career took off in the early 1990s. She scored a BAFTA, Golden Globe, and Best Actress Oscar in 1992 for her work as Margaret in Howards End. 1996 saw the big screen adaptation of Austen’s novel, starring Gwyneth Paltrow in the title role. In 1998, Uma Thurman took on the role of Mrs. Peel for an Avengers reboot. The X-Men have included Emma Grace Frost since 1980. January Jones plays The White Queen in the recent movie versions. Emma Watson first appeared as Hogwarts top student Hermione Granger on the big screen in 2001, but her name had already cracked the Top Ten. Plenty of other Emmas have answered to the name, and chances are we’ll meet more famous women answering to this appellation in the coming years. There’s also the unrelated, but similar sounding Emily, another recent Top Ten staple, and a long list of spinoff Em- names. It’s easy to love Emma – she’s short, but complete. Sweet but powerful. From Miss Woodhouse to Mrs. Peel, there’s no shortage of fictional inspiration. No wonder Emma made it to the Top Ten! Am I crazy for preferring Imma? Somehow the single letter change freshens the name up a bit for me. I have to love a post that mentions Emma of Normandy, Aethelred, Cnut and William the Conqueror!! Emma is one of my favourite women in history and I have a soft spot for Jane Austen’s Emma too. Historical and literary associations aside, it’s also a good sounding name: feminine without sounding frilly, with a certain strength and dignity.